At the very heart of the Polynesian triangle lie the Cook Islands which consist of fifteen islands bordered by the Samoas, Tahiti and the French Polynesia. Fr Ruben Elago MSP was instrumental in the opening of the MSP mission there. Then the MSP sent Frs Marcelino Rosales MSP and Jose Sonny Cantillano MSP as the first MSP missionaries who arrived in these Pacific islands in September 2004. They were sent and assigned in the islands of Aitutaki and Atiu respectively. Aitutaki was the first island in the Cook group of islands to embrace Christianity through John Williams of the London Missionary Society who arrived in the island in 1821. Fr Rosales and Fr Cantillano were joined by Fr Faustino Pinili MSP who followed them in 2007. 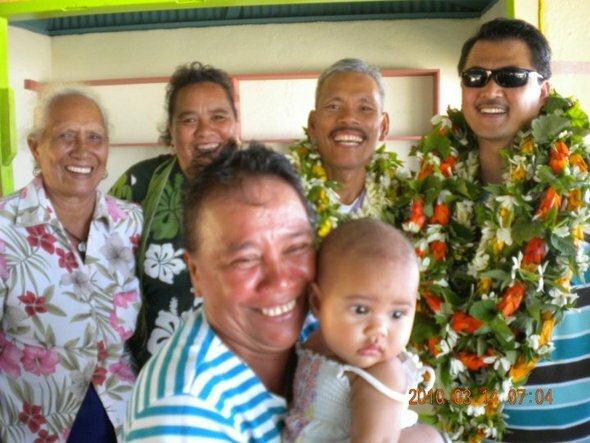 Fr Pinili has been assigned in a Catholic Church left by the Marist Fathers in Arorangi (Rarotonga). At present (2010), there are three MSP priests working in the islands: Fr Gorgonio Llubit Jr (Rarotonga), Fr Salvador Marcaida (Atiu), and Fr Faustino Pinili (Aitutaki).